Angels are non physical entities and their vibration is at a different frequency than ours, physical mortals. These spiritual custodians are always trying to guide actions and interject thoughts that will help us. It all comes down to whether or not you have the capacity of mind and soul. Do you believe in powers that are trying to stop humanity from it’s own cold and destructive hands? Have you ever seen patterns that go beyond the norm? It a mystery as to how these guardians came to protect us and care for us. It’s believed that this mystery is an inherent aspect of the infinite universe. As an element of the infinite, all of us see different answers. They can appear in more subtle ways. Here are eight main signs that your guardian angel is nearby. It’s unexplained how your room can get colder or warmer without reason. The vibration from the angels can slow or speed up the molecules in the air, resulting in a change in temperature. Be patient about what you are doing or thinking and feel out what is being communicated. Have you ever been at home or somewhere in the forest, a place where random scents are hard to find, and smelled something amazing? If you can smell an inconsistent smell and its very pleasant, an angel could be a hug away. Smell is very strong sense, with heavy ties to memory. What did you smell? What did think in that moment? While this is absolutely an indication you are crazy, in this context that’s a good thing! You are open to the inclinations of the universe, where others aren’t. Have you found feathers on your path? This is one of the more commonly known signs of the angels. Feathers are reminding us that our angels are near. They love and support us from behind the scenes. 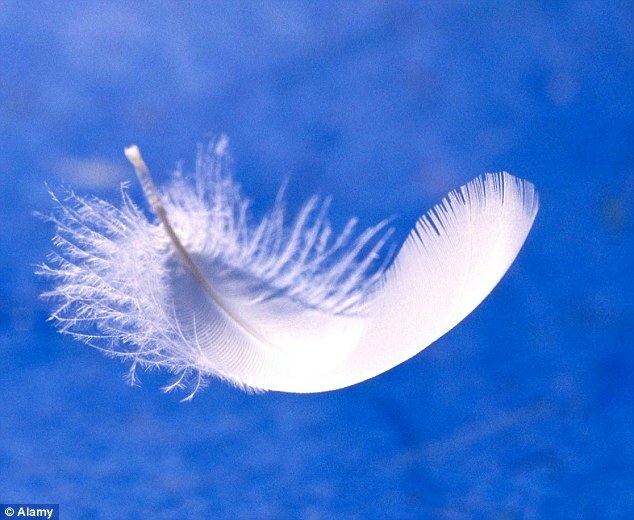 Finding feathers in a place which is somehow abnormal is an especially powerful sign of an angel. Have your cat or dog stared at nothing? This also happens to babies and small children as well. This mysterious phenomenon may be a result of their presence. Many spiritual experts say that children and animals are much more sensitive to the presence of spiritual beings. Seeing shafts of light streaming or shooting around you are definite indications of angels. Don’t be afraid if you notice sparks of light or shadows around you. Angels don’t want to harm you. This is normally indicative sign that they are trying to reach you directly. One of the most obvious of angel signs through the clouds, is a cloud which looks like an angel. Your angels may also drawn your awareness towards clouds that look like hearts, just like many other shapes and symbols to offer. Maybe you won’t remember the dream but definitely you will feel lighter, stronger and more sure of taking the right direction. If you are alone and you feel like someone is in the room with you, but you feel good and you aren’t afraid trust your gut. Your angels are trying to protect and make you sure that it’s all in the right place.